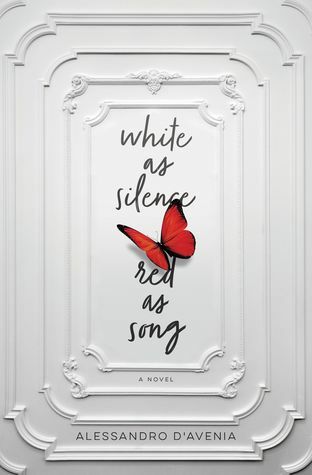 White as Silence, Red as Song by Alessandro D’Avenia – Published September 4th, 2018 by Thomas Nelson (first published January 2010). International bestseller White as Milk, Red as Blood, has been called the Italian The Fault in Our Stars. Leo now feels like a lion, as his name suggests, but there is still one thing that terrifies him: the color white. White is absence; everything related to deprivation and loss in his life is white. Red, on the other hand, is the color of love, passion, and blood; red is the color of Beatrice’s hair. Leo’s dream is a girl named Beatrice, the prettiest in school. Beatrice is irresistible – one look from her is enough to make Leo forget about everything else. White as Milk, Red as Blood is not only a coming-of-age story and the narrative of a school year, but it is also a bold novel that, through Leo’s monologue – at times easy-going and full of verve, at times more intimate and anguished – depicts what happens when suffering and shock burst into the world of a teenager, and the world of adults is rendered speechless. About the author: Alessandro D’Avenia, born in 1977 in Palermo, holds a PhD in classics and is a high school literature teacher and screenwriter.